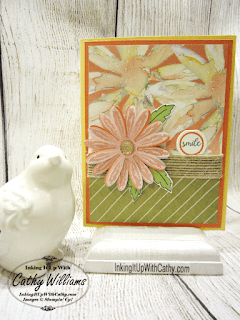 Tippin' on Tuesday Using the Ever So Popular Daisy Delight Bundle! Today's card using the extremely popular Daisy Delight bundle which is now available for purchase and hopefully will not go on back order any longer. 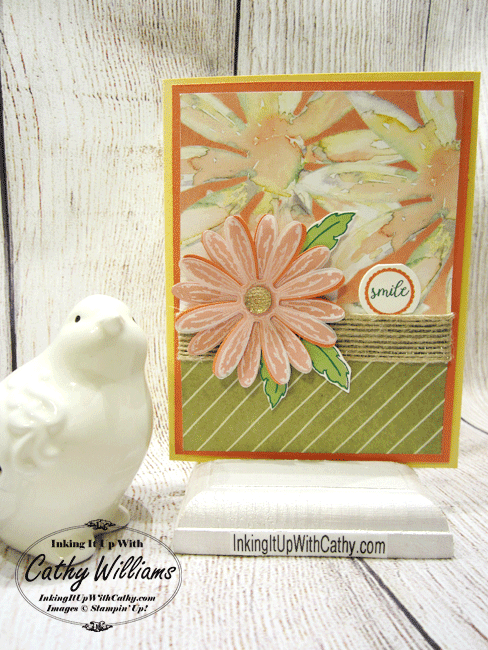 I love this set along with the coordinating Designer Series Paper which has a beautiful watercolor effect. I also wanted to use the new little Tabs for Everything punch we are offering. I thought this was another great way to use it.